A report by the World Business Academy that details negative health trends in the area surrounding the Diablo Canyon Nuclear Power Plant in San Luis Obispo County was released Monday. Stephen W. Hosea, MD, the associate director of Internal Medicine Education at Santa Barbara Cottage Hospital, concluded after reading the report that those living near Diablo have higher cancer risks. 3. Cancer incidence in San Luis Obispo County rose from 0.4 percent below to 6.9 percent above the average for the state of California during the time period of 1988-1990 to 2003-2010. The current cancer rate is the highest of all 20 counties in southern California. 7. Melanoma incidence in San Luis Obispo County soared from 3.6 percent above to 130.2 percent above the state incidence rate during the period from 1988-1990 to 2003-2010, and is now the highest of all California counties. 8. Cancer mortality for people of all ages in San Luis Obispo County rose from 5.1 percent below to 1.4 percent above California from 1988-1990 to 2008-2010, making SLO the 25th highest county in the state (up from 43rd highest). 9. The ratio of babies born at very low-weight (below 3 pounds, 4 ounces) rose 45.0 percent higher in the nine San Luis Obispo County zip codes closest to Diablo Canyon, versus the other more distant 10 county zip codes. 10. The ratio of all-cause mortality rose 47.9 percent higher in the nine San Luis Obispo County zip codes closest to Diablo Canyon, versus the other more distant 10 county zip codes. 11. In the 10 zip code areas in Santa Barbara County closest to Diablo Canyon, there was a greater rise in the rates of infant mortality (61.7 percent), low weight births (40.2 percent) and total mortality (19.1 percent), than in the five zip codes areas in the city of Santa Barbara, located approximately 90 miles from the reactors. 12. The major findings of this report show increases in various rates of disease and death in San Luis Obispo County, as compared to the state of California, since the 1980s (before plant start up and during its early years of operation). This includes increases in infant mortality, child/adolescent cancer mortality, cancer incidence for all ages (especially thyroid, female breast, and melanoma), and cancer mortality for all ages. Subjects: Diablo Canyon Power Plant Environmental Quality Pacific Gas & Electric (PG&E) Public Health San Luis Obispo County Science! 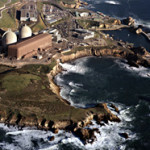 The answer to Diablo Canyon is to pull out the Uranium and put in Thorium. Thorium produces 90 times more energy than uranium and Thorium is not radioactive. Its reactions produce no plutonium or other bomb- making raw materials. Also Thorium cannot melt down as a thorium reactor is already molten. A thorium reactor needs neutrons,and both ways of supplying these subatomic particles are relatively safe. They can be introduced with a particle accelerator,which can be turned off if danger threatens. If Thorium was introduced to Diablo the cancer risks would go to about zero. Also the power output of the reactor could be increased to 900 times the present production. The present plant is only being run at 10% of output. You can safely run Thorium at 100% and since it is 90 times more power production than Uranium i.e.90 times as much energy from the same quantity of fuel. So 90 by 10 = 900. Thorium also generates much less waste,with a much shorter half life until it becomes safe,so the waste can be stored for centuries rather than millennia. supply this. The rising oceans could be converted into fresh water and pumped across our country in Hugh canals solving our drought problems forever. The dangers of forest fires would become a thing of the past. I grew up in Shell Beach and was there while Diablo was being built. I remember the the protests outside the gates and the promises in the newspapers that it would be shut down after the initial license expiration. That is one of the reasons I moved back to the area. I am now a little incensed that they are wanting to extend the licence. But let me get to my main point: I personally know of 6 women including my mother that died at very young ages from various types of cancer. Their deaths were all between 1994 and 2000. I did not live in Shell Beach in the 80’s during the Diablo start-up, but all of these women did. These are only the people I knew of personally. How many others were there? I have a THEORY based on what I KNOW, that there was a possible release during the start-up and due to the prevailing Northwest winds, Shell Beach/Pismo was exposed to some fallout. Maybe, maybe not. Just my theory. But, 6 people I knew died of cancer between 1994 and 2000 all living in the same close proximity to Diable during the startup? At best, your “Theory” is a hypothesis. Unless you can show testable evidence, that has shown to produce viable outcome, it is nothing more than a guess. One of the significant problems when it comes to reports like this article is that it is a “touchy-feely” conclusion (that is, not scientific. The Tribune indicates that the cited study has not been “peer reviewed”, and as such, is not scientific. I’m no fan of Diablo Canyon, but opinion is not the same as science. Theory is not the same as hypothesis. Sorry. Oh my, has anyone contacted Erin Brockovich? Okay,okay…I used a wrong word. I apologize to everyone who had a hard time understanding or took offense to my using the wrong word in my comment. Please replace the word “theory” with whatever word helps you understand the simplicity of what I am conveying . SUSPICION may be the word I should have used. At the time, it was not my intention to scare anyone or to put anyone out of work. What I commented on is something that I have known and think about from time to time. I sometimes read CNN and saw an opportunity relate my personal observation. I realize that this is a very, very serious subject. Reading these comments, it is easy to see people taking sides. Without choosing sides, I would encourage people to consider the statistics used in this study. This study seems to have a conclusion in mind and is drawing statistics that support this conclusion. First they start with a 15 mile radius that includes Morro Bay, SLO, and Pismo Beach. There is no thought given to standard wind patterns. They claim “overwhelming” evidence in the data. Second, they spew out all kinds of data from the entire county. What happened to the 15 mile radius? Next they switch the boundaries to the 9 closest zip codes to Diablo. Again, no adjustment for the standard wind patterns. Then, they play with different dates: mid-80’s, 2001-2010, 1998-2000 compared to 2003-2010, 1998-2000 compared to 2008-2010. Switching boundaries and endpoints leads me to really doubt the validity of these claims. This is the same thing that politicians do with data to argue their points. The same thing that PG&E would do to argue their point. This doctor may be smart and he may save lives in some way, but his work with statistics and conclusions with those statistics is poor. When I read this report, I do want to know more about these issues. A consistent set of data over the same boundaries would be a nice start. Due to wind patterns, the people in Arroyo Grande, and maybe even Santa Maria, are more likely to be effected than those in Morro Bay. The amount of time spent in the environment should be a major factor as well. Also, how do the radiation levels from Diablo compare to other radiation sources we are exposed to (I always wonder why the doctor leaves the room when I get the x-ray). The bottom line for me (and I live in the five cities area) is that I won’t loose any sleep over this poorly conducted study that likely had an outcome in mind and found data that supported it. But maybe this will spark an independent mind to study this in a more scientific way. There’s no such thing. Prevailing wind, yes, but that just describes a preponderance of wind in a general direction. It doesn’t describe other wind patterns, ground characteristics, topography, times of year, times of day and night, etc. Air is always moving. Air moving past Diablo passes by every home in this county at some point. By looking at your comments in this thread it looks like you seem to be supportive of this CCN article. Each of your comments seems to be nitpicking the wording of commentors that seem to be questioning the report. Any unbiased observer with any background in science would pick this report apart. It is written for shock and sensationalism. I actually read the article in hopes that it would provide some answers to questions that we’d all like real answers to. the article failed to do that.